Consumers are always looking for shortcuts and ways to make their everyday work easier, and developers are competing to deliver the best services to their customers. On-demand delivery apps have become very popular over the past few years. Whether you want your food delivered or you need someone to drop-off your laundry or maybe you're in need of a day out, and you need a child caregiver. Everything is possible with on-demand delivery apps. On-demand delivery apps have opened an opportunity for businesses. This will increase customer satisfaction and render more sales. These apps can make things much easier for online businesses. Here is why companies need to start investing in on-demand-delivery apps. On-demand delivery apps are capable of delivering 24/7 customer support. When users have any query about a product, they seek help from customer support. An assistant is not always available, and it's practically impossible to deliver 24/7 customer support with the help of a support team. Even if you do manage to pull off this miracle, you will probably need to hire more people and pay them as well. However, on-demand delivery apps are backed up by Artificial Intelligence Chatbots. These chatbots can provide authentic results within the least amount of time. Businesses can own this budget-friendly system without having to worry about hiring individuals. Most customers look for outside help to validate a product. Consumers have developed a habit of verifying the authenticity of a product by reading the customer reviews and ratings. Similarly, before installing an app, a user will check out the reviews and ratings of an app and then install it. On-demand delivery apps are capable of delivering goods within a certain time limit. This increases customer satisfaction, and they are prone to give more positive reviews and ratings. By investing in on-demand delivery apps, businesses can draw more traffic towards their stores and gain potential customers. You won't have to spend hours trying to manage your inventory information, and you won’t have to waste your time trying to maintain hundreds of records and data sheets. On-demand delivery apps bring a more comfortable and efficient solution to the table. The apps can digitally manage the entire process. You can relax and focus on matters that demand your attention, leave everything else to the app. This will definitively render more effective and time-saving results. One of the most significant advantages of on-demand mobile application development is its speed and efficiency. Customers don't have to waste their time waiting for the arrival of a service representative; this saves yours as well as your customers time. GPS supports the on-demand delivery apps; this makes it easier to reach a customer’s location. Think about the holiday seasons; your schedule is probably full to the brim. You have a tone of orders to get out, and you don't have enough time. And things get a whole lot worst when your driver is unsure of a customer’s location. In order prevent this from happening, you can use the GPS to guide the driver to the right location, you can even provide the shortest route to a destination. By estimating and following the easiest routes you can get your orders delivered ahead of time and reduce the number of customer complaints as well as decrease your workload. On-demand delivery apps are supported by the GPS system and the geo-location facility. 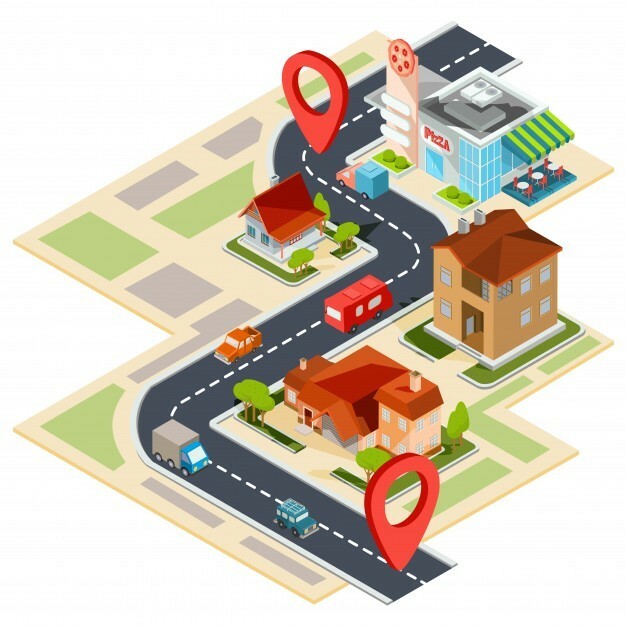 With the help of these features, you can easily track the whereabouts of your products and well as the delivery driver. This will allow you to have an estimate of the delivery route, manage and deliver products more effectively and have an insight about the time taken by a delivery. Increase driver responsibility : The GPS system can monitor your drivers speeding, idling and start and stop times. 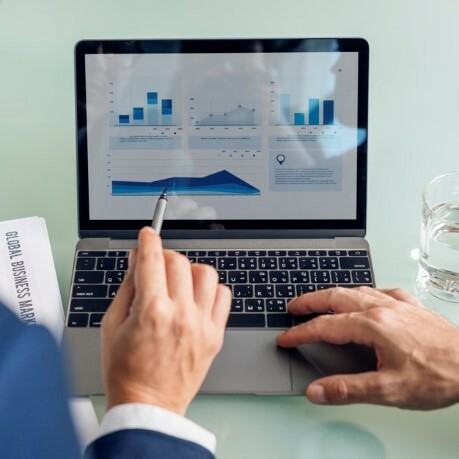 You will have a better insight into your drivers potential and workflow, this will allow you to enforce the required policies to ensure that the work runs smoothly. In case of any emergency or accidents, you will be able to alert the authorities to ensure the safety of your driver. Better route planning: GPS tracking will help you monitor and precisely plan the delivery routes in real time. This will save time, reduce the vehicle downtime, prevent missed deadlines and improve the customer service. Save money and time : Real time GPS tracking will help you plan the fastest routes, this will save time and reduce the fuel consumption. Planning a vehicle's route and making sure that it reaches a destination in time will increase efficiency and reduce the wear and tear of the vehicles in your fleet. At the end of the day, you will have successfully completed the required deliveries within the time limit and without any extra expenditures. Useful analytics: The data gathered by the GPS can be very valuable for the growth of your business. You will have the cost analysis of various routes, the efficiency of your vehicles and an estimate of the fuel consumption. These analytics will help you to make better decisions, bring value to your business and plan ahead of time. Faster delivery, 24/7 customer support, and increased trust; all of these factors will ultimately improve customer satisfaction. Satisfied customers will not only recommend and promote your site, and they will continue to shop from your store. Your business will get positive reviews & ratings, more customer and increased sales. On-demand delivery apps increase the transparency of your business. Customers can track the status of their orders and have record of the order summary. Customers are kept informed and are updated with the status of their orders with the help of push notifications and messages. On-demand delivery apps are the future of mobile application development. Businesses from all across the globe are following this trend to meet their business purposes. On-demand apps seem to be growing day by day, whether you want to order food, so shopping or book a ride, on-demand apps have made life much more comfortable. By adopting and investing in on-demand delivery apps, businesses will be able to succeed within no time.